Just in case visitors here don’t read the various transport forums, the link above has some news, although some of the figures don’t look too accurate. 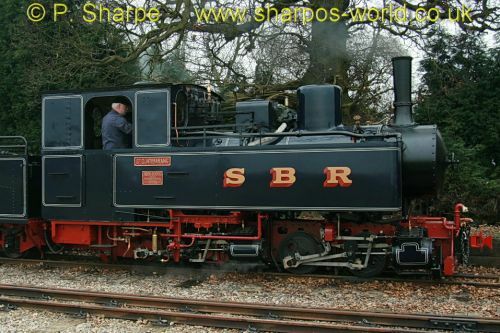 This entry was posted in Photo Galleries on March 31, 2011 by Sharpo. I had a fun day photographing the trains at the open day, but unfortunately no sun. 10 locos were seen running (I didn’t get to see the one on the garden railway) but the most interesting loco for me was the recently overhauled Mallet. 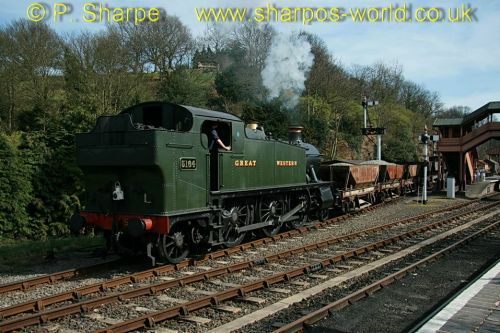 Will try & add a few captions later, also compile a list of locos. List of locos seen running, maybe one day I’ll add works numbers etc. Other locos were on display. 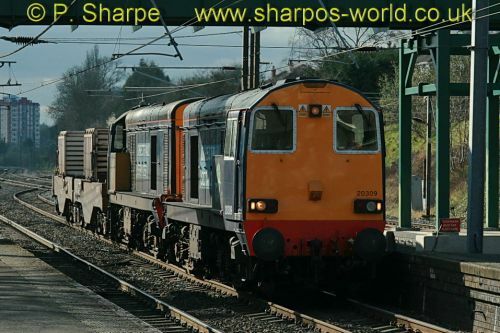 This entry was posted in Sharpo's World Photo Updates on March 28, 2011 by Sharpo. Just happened to be at Bewdley at the right time. Soon after finishing lunch, I was given a shout that 5164 was returning with the ballast train. Just time to grab the camera for a few shots of it running through, then reversing the wagons into Rock siding. 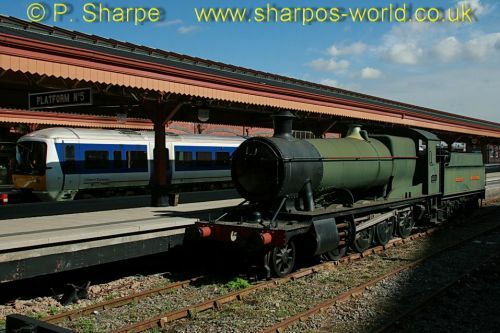 This entry was posted in Sharpo's World Photo Updates on March 25, 2011 by Sharpo. It had been a lovely sunny day, but this train ran much later than usual and by the time it reached Old Hill the light was very poor, to say the least. Even set at ISO1600 my camera does not take good photos in dull conditions, but at least I saw the train. As usually happens with this working, a DMU from Birmingham was due to run into the station and would block my view and I hesitated up on the footbridge – stay here or go back down on the platform. I had originally been waiting at the end of the platform where it was lighter, but was worried my view would be blocked by the DMU. 6201 was heading to Crewe from Tyseley to work a special to Carlisle tomorrow. The last time I went to Dorridge to see the NMT the London Midland trains were running late, this in turn delayed a northbound freight, which was checked by signals as it passed slowly through the station. It was at the same time as the NMT sped through on the southbound track, all I saw was a glimpse of yellow in the gap between the containers. This time I was ready, on the footbridge, I wasn’t going to miss it a second time! During the hour or so I was at the station three other freights passed through, so quite a good result. 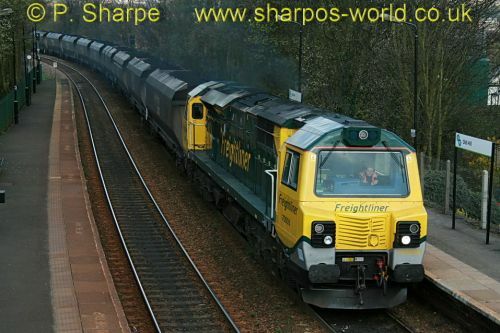 This entry was posted in Sharpo's World Photo Updates on March 24, 2011 by Sharpo. Some more “forgotten” photos from last year. 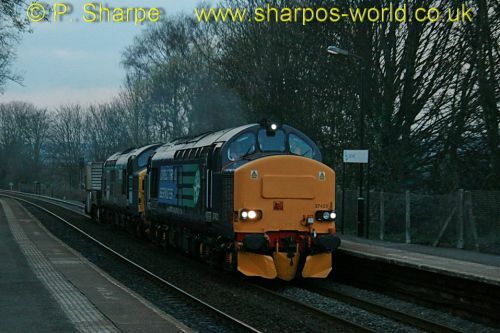 I had received a message that a Class 70 had passed Kidderminster & was heading my way, grabbing my camera & legging it off up the road, I made it to the station before the train appeared in the distance. 70006 didn’t appear to be on form and most of the work was being done by 66527 at the rear of the train. Progress through the station was rather slow! Can’t remember how many weeks this working ran via Kidderminster, but it eventually went back to the old route via Hereford & Shrewsbury. 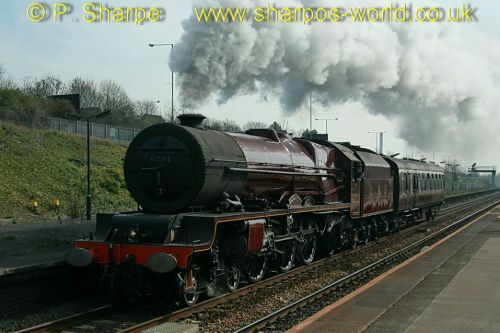 This entry was posted in Sharpo's World Photo Updates on March 22, 2011 by Sharpo. I wonder what actually happened to fotopic.net? Over the past week or so there has been much talk about fotopic and the loss of all the galleries that people have uploaded. For some reason I never set up a fotopic account, I think in the early years I was displaying photos within an ordinary web site, finally moving on to a Coppermine photo gallery. I can sympathise with people who can no longer access their galleries, knowing how long it takes to upload photos & add descriptions etc. Maybe all is not lost & it will come back online. Staying on the subject of photos, going back a few years before the internet was so popular, most of the published photos were probably in books & magazines. Those same books are probably still in libraries or for sale new or second-hand in various places, same with magazines. Makes you wonder what will happen with all the digital photos that are taken these days, what will happen to them? Thinking about many of the transport photos I’ve taken with earlier digital cameras, and others I’ve seen on the internet, losing some of them would be no great loss! This entry was posted in Photo Galleries on March 22, 2011 by Sharpo. Some more photos that were never uploaded. Yes, edited the day after they were taken, then forgotten about. It was the day of the DRS Open Day at Crewe, I was able to see this railtour pass through Old Hill before catching the train to Crewe. Then on the way home I saw the train pass through Stafford, and even managed to catch a train back to Old Hill to see the train a third time as it headed back to Swindon. 47270 hauled the train on the outward journey, 57601 on the return. These photos were taken the day I went to see Tangmere at Widney Manor. Mostly the usual DMUs but does include 66126 & 66066 on a coal train to Didcot power station. I had to change trains on the way home, so spent a few minutes at Moor Street photographing GWR 2-8-0 no. 2885. The paintwork is looking very faded now! I keep missing the flask train which runs via Kidderminster, due to it running in the dark or being diverted via Bromsgrove, so I made the effort to see this one at Kings Norton. I wasn’t early enough to see the other freights & had to wait about an hour before the 20 arrived, but at last I saw the train. 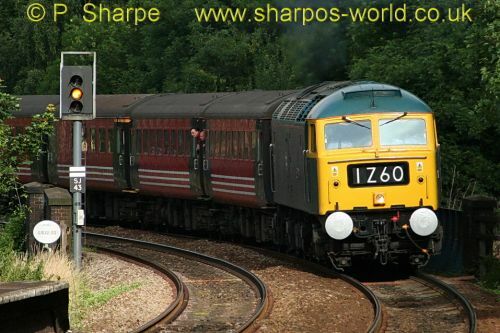 This entry was posted in Sharpo's World Photo Updates on March 21, 2011 by Sharpo. When I was waiting for Britannia at Shrewsbury last week I took photos of most of the other trains seen at the station. Most of them were DMUs, but 3 diesels helped to add some variety. This set of photos shows them all, but does include a shot of Britannia, as seen in a previous album. The weather ranged from dull to extremely dull, so no great shots, but at least it is a record of the few hours I was there. Still trying to get used to the look of a 70. Midlands Album 10. Stafford 17/06/08. Midlands Album 11. Stafford 20/06/08. Midlands Album 12. Bromsgrove 24/06/08. Midlands Album 13. Old Hill 17/07/08. Midlands Album 14. Kidderminster 15/07/08. Midlands Album 15. Kidderminster 15/07/08. Midlands Album 16. Bromsgrove 10/07/08. Midlands Album 17. DMUs and 60085 at Droitwich 05/08/08. Midlands Album 18. DMUs and “Nuke” at Old Hill 07/08/08. Midlands Album 19. Bromsgrove 19/08/08. Midlands Album 20. 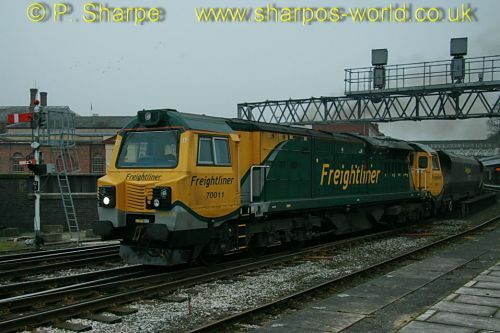 2 freights and units at Stourbridge 21/08/08.